The burden of Dumah comes near the end of a series of "burdens" or "woes" on the nations surrounding Israel. As in the book of Amos, where a similar litany of woes introduces the book, the object is not to exalt Israel but to show that God’s justice is aware of of the unrighteousness of Israel’s enemies just as it is of Israel’s own sins. There is confusion as to who or what Dumah referred to literally. Most expositors take it for a variation of Edom or Idumea, while a sizeable number of others apply it to a tribe fathered by Dumah, the sixth of the twelve sons of Ishmael (Gen. 25:14; 1 Chron. 1:30). The main argument for the identification being Edom is the reference to Seir, a city in the land of Edom. However, since the Ishmaelites were mainly nomadic traders (Gen. 37:25) and since the area of Seir (particularly its main city, Petra) was founded as a stop on the spice routes from India to Egypt, it would not be unusual for an Ishmaelite to be in Seir. In fact the question, "What of the night? ", is one likely to be asked by a traveling merchantman as he considers the day’s journey ahead of him. In balance, we prefer the identification of Dumah with the Ishmaelite tribe of that name, especially since this spelling is not elsewhere used of Edom. Additional to this is the etymology of the word. Dumah, according to Strong’s is related to a root meaning "to be dumb," or "silent" while Edom comes from a root meaning "red." Since the two words are so different etymologically, it is unlikely that they refer to a common location. If this be so, the Dumah is not an alien nation, but a nomadic child of Abraham through Ishmael. Today we would call him a Bedouin. They may even have founded a settlement in what was to become the tribe of Judah (John. 15:52). The name Dumah (Strong’s #1745) is the same as the Hebrew word for "silence" (Strong’s #1746; compare #1820). It is from this root that we have the word "silent" in Jer. 8:14: "Why do we sit still? assemble yourselves, and let us enter into the defenced cities, and let us be silent there: for the LORD our God hath put us to silence, and given us water of gall to drink, because we have sinned against the LORD." This is the class that later calls out: "The harvest is past, the summer is ended, and we are not saved" (vs. 20). This "silent" class, those who "heal the hurt of the daughter of my people slightly, saying, Peace, peace, when there is no peace" we identify as representing the Great Company. We suggest that this is the identification we should also make of Dumah in the Isaiah text under consideration. In our prophecy Dumah is found in Seir. As traveling merchants they may be found in a different place every night, but now they are in Seir. There is no question as to the location of Seir. It is the mountainous region of central Edom, centering around Wadi Musa and the rose red city of Petra, the Sela of the Bible (Jud. 1:36 NAS; 2 Kings 14:7; Isa. 16:1). Most Bible students concur that Edom represents mainline Christianity, Babylon. This fits so well with the story of Esau selling his birthright to Jacob for a mess of pottage, as well as with the prophecy of the doom of Edom in the book of Obadiah. The scenario of our prophecy becomes more evident. We have the voice of the Great Company making an inquiry while passing through the streets of Christendom. The cry is directed to the watchman. Since the call comes from Seir it is presumed that the wastchman is employed in Edom, probably by the city of Petra. The word here translated watchman, as distinct from that in verse six of the same chapter, is more properly translated guard or keeper. The duties of this office were not only to keep lookout but also to provide protection from any invading forces. Putting the picture together, we have an inquiry made by those passing through spiritual Babylon of those put in charge of protecting that city. In another picture the watchman of Christendom are pictured as foul villains: "The watchmen that went about the city found me, they smote me, they wounded me; the keepers of the walls [same Hebrew word as `watchman’ earlier in this same verse] took away my vail from me" (Song of Solomon 5:7 see also 3:3). How are we to reconcile the evil watchmen of Christendom with the watchman found here in Seir with the correct answer to the traveler’s question? The answer is in the timing of the prophecy’s fulfilment. From the watchman’s answer we gather that this question is asked before the dawning hours, during the night time. In a familiar prophecy of the resurrection of the sleeping saints, Psa. 46:5, we read these words: "God is in the midst of her; she shall not be moved: God shall help her, and that right early [`just at the break of dawn’ (NKJ)." This "break of dawn" we customarily apply to 1878, just after the Lord’s return in 1874. Up to that time Babylon had not yet been cast off and her watchmen, or keepers, were a spiritual class. For the details of the transition from this spiritual class to a non-spiritual one read Jer. 8:7-13 and compare with comments on The Time Is At Hand, pp. 158 ff. Thus far, then, we have an inquiry from a class traveling through Christendom to the truly spiritual watchers of Christendom at a time near the break of day, the time of the return of the Lord himself. The question, twice-repeated, seems to be more than simply "what time is it?" Some translations read: "What from the night?" "What are the tidings from your watch? How is the weather? What are the anticipated conditions for traveling? All of these would be on the mind of the nomadic merchant as he prepares to ply his journey. The repetitiveness of the question may be for emphasis, implying the importance of the answer to the Enquirer, or it may refer to the two senses of the words, what time is it and what news do you have of conditions. "The morning cometh, and also the night." Not, as many commentators suggest, the brightness of morning will be followed by the storm clouds of night; but, in contrast, the morning will be preceded by the darkest part of night. It is a common expression, "it is darkest just before dawn ," and that is one of the thoughts conveyed in the watchman’s answer. Today’s fruitless cries of "Peace! Peace!" (Jer. 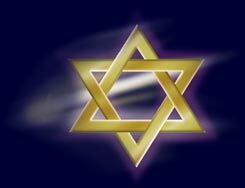 8:11) followed by increasing troubles are but troubled nighttime howls before the ushering in of the glorious Kingdom under the reign of the Prince of Peace. The deepest scenes of the time of trouble such as earth has ever seen, the darkness of worldwide anarchy, are predicted just before the rising of the "son of righteousness, with healing in his beams" (Mal. 4:1). "For, lo, he that formeth the mountains, and createth the wind, and declareth unto man what is his thought, that maketh the morning darkness, and treadeth upon the high places of the earth, The LORD, The God of hosts, is his name" (Amos 4:13). There is yet another sense in which this answer can be comprehended. Note the poetic expression of another of God’s prophets: "A day of darkness and of gloominess, a day of clouds and of thick darkness, as the morning spread upon the mountains: a great people and a strong; there hath not been ever the like, neither shall be any more after it, even to the years of many generations" (Joel 2:2). In the mountainous Alps of Switzerland trumpeters patrol the heights. As the light of rising sun reaches their elevation they blow a blast to announce the event to the waiting populace below. Layer upon layer the day light filters slowly into the deepest valleys. Nowhere is this phenomena better observable than at the capital of Seir, Petra. Situated in a deep narrow basin the town is accessible only through a mile-long Siq, or canyon, just wide enough for one animal at a time between rose red walls towering hundreds of feet straight up. Even fairly late in the day the steep canyon walls keep the road in deep shadows. Watchmen were situated in early days along the top of the canyon. When the question would be called up from below, "Watchman, what of the night?" there observation might well be, "It’s already morning up here, but you still have a considerable period of night to go through down there where you are." For the traveler at the base the answer is puzzling. How can it be morning while it is yet so dark. It takes faith to believe the watchman’s words. The picture is fitting for the spiritual seeker of the Millennial morn. High on the mountain tops of prophecy the signs of the times indicate that it is already morning, even while our immediate surroundings seem to belie the evidence. Is it not reminiscent of the words of the young Allegheny haberdasher to the assembled ministers of his city in 1877, presenting evidence that the Lord had returned, only to have it rejected because their immediate surroundings did not seem to support it? They lacked the faith needed by the faithful nomad passing through the streets of Christendom, antitypical Edom and Seir. "If ye will inquire, inquire ye; return, come." Further investigation is encouraged. The basic thought in the word "inquire" is to have an earnest desire to know, not just a passing curiosity. The watchman has a deeper message than his simple: "the morning cometh, but night also." It is almost as though he worded his first response as a riddle in order to provoke greater curiosity on the part of the inquirer. Likewise, the word "return," while being the basic Hebrew word for the usual concept of going back to a prior point in one’s journey, does also carry a metaphoric meaning. Vine’s Dictionary of Biblical Words has this to say: "The word can mean "turn away from," as in Psa. 9:3: "When mine enemies are turned back . . . ," or "reverse a direction," as in 2 Kings 20:10: " . . . let the shadow return backward ten degrees." This may include the thought of repenting from a former life style and making a renewed consecration to press even harder toward the mark for the prize of the high calling. "Seeing then that all these things shall be dissolved, what manner of persons ought ye to be in all holy conversation and godliness" (2 Peter 3:11). The final word, then, "come" completes the picture. Having "returned" in his mind through repentance, the sincere seeker for truth "comes" through conversion with a renewed depth of inquiry as to what the impending dispensational changes mean to him in a practical way; how they affect his onward journey. In the "Burden of Dumah" we see a pen picture of the dramatic turn of events in the religious world in the 19th century with the onset of Adventism and the Cleansing of the Sanctuary. Isaiah’s mini-prophecy anticipates the more depthful inquiries of "The Days of Waiting" and "The Cleansing of the Sanctuary" chapters in Volume Three of Scripture Studies, The Time Is At Hand.